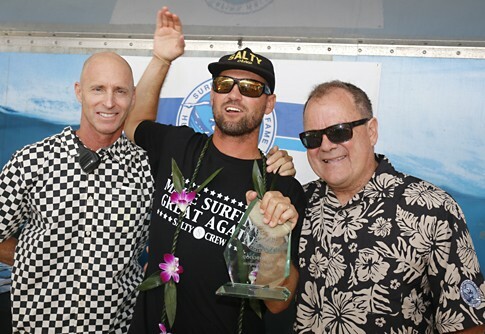 Clifton "CJ" Hobgood "2016 Surf Champion"
2001 World Champion C.J. Hobgood headlines the group following his recent retirement from full-time competition. 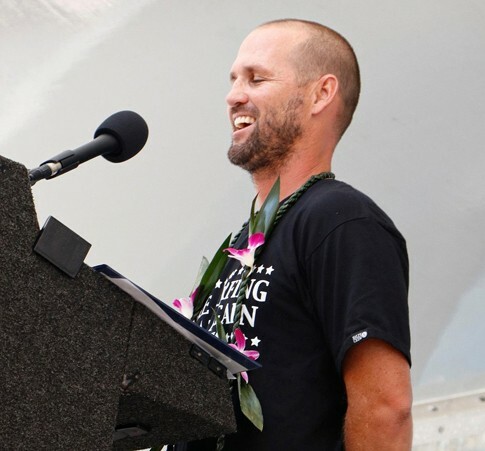 The 1999 ASP Rookie of the Year amassed four Championship Tour wins during his 17-years on the circuit, including a memorable victory at the 2004 Billabong Pro Tahiti held at the notorious Teahupoo and the 2007 U.S. Open of Surfing in Huntington Beach. Brothers always tend to push each other in and out of the water. So it’s no surprise that a heap of top professionals have always climbed the ranks alongside their siblings — the Hos, Irons, Lopezes, to name a few. But what if your brother looked and surfed just like you? That might just push someone like C.J. Hobgood to go out and win a world title. Hobgood (and his twin Damien) began surfing in Florida in 1984. And just five years later, he won the menehune division of the Eastern Surfing Association Championships, which set up a long string of amateur titles, bookended by a third place in the prestigious Pro Junior contest in Australia. PHOTO: October 2006, ISA Lost Energy Drink World Surfing Games 2006, Huntington Beach, CA. Photo courtesy of Roland. PHOTO: CJ acceptance speech at the 2016 SWoF Induction Day. Photo courtesy of Bobby Zee Images. As a teenager until he was World Champion, CJ spent his career as part of the Rusty Surfboards family, but today he’s retired after fifteen years on tour, and is a sales rep for Salty Crew. He turned pro in 1998 and quickly qualified for the WCT the following year. Hobgood finished his first of seventeen years on tour ranked 18th and was awarded Rookie of the Year honors. 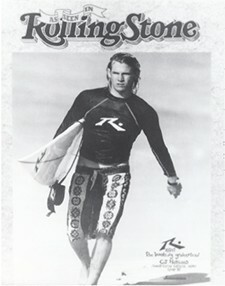 In 2000, he rose to seventh in the ratings and scalped his first major victory at the Hossegor Rip Curl Pro. As fate would have it, Hobgood was atop the rankings when the 9/11 tragedy halted an abbreviated 2001 season. C.J. was instantly crowned ASP World Champion, becoming the fourth Floridian to achieve the feat after Frieda Zamba, Lisa Anderson and Kelly Slater. As a versatile and radical goofyfooter, small-wave mastery was only a fraction of Hobgood’s skill set. Both he and Damien seemed to excel in hollow and heavy Pacific reefs, most notably Fiji’s Cloudbreak and Tahiti’s Teahupoo, where C.J. notched a huge win in 2004. Hobgood’s other notable victories include the 2007 U.S. Open in Huntington Beach as well as a gold medal at the 2008 ISA World Surfing Games. Hobgood finished in the Top 10 six times throughout his storybook career and recently retired after the 2015 season. PHOTO: CJ enjoying the moment on the 2016 SWoF Induction Day with Darren "Brillo" Brilhart and Peter "PT" Townend. Photo courtesy of Sharon Marshall.